A warm Irish welcome awaits you at the Park Hotel, Kiltimagh, Co Mayo. 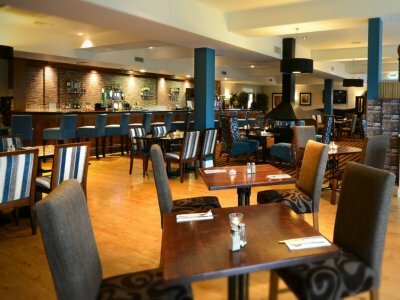 The Park Hotel Mayo is situated in the busy market town of Kiltimagh, Co Mayo which is located just off the N17 national primary road between Galway and Sligo and near Ireland West Airport Knock , Mayo (within 20 minutes drive). Upon arrival at the Park Hotel Mayo you will immediately understand why so many of our guests return to the Park Hotel Mayo as their first choice accommodation base for leisure breaks, weddings and business meetings in Mayo and the West of Ireland. When visiting the West of Ireland, the Park Hotel Mayo is the perfect holiday base from which to discover the many tourism attractions of Mayo, Sligo, Galway and Ireland's West Coast. Each of the hotel bedrooms and suites offer all the modern comforts you would expect in a first class hotel. 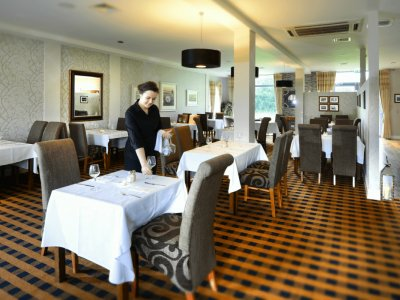 The Park Hotel Restaurant offers gourmet dining in a beautiful modern designed restaurant. stylish The Café Bar offers great food & great atmosphere. Prefect for lunch or an evening dinner serving a taste of country life. Here at the Park Hotel we have a professional and experienced team, whose attention to detail and friendliness will ensure that your family and friends will have fond memories of your special day.